SEC: Bitcoin and Ether Are Not Securities - What Does It Mean For Others? SEC: Bitcoin and Ether Are Not Securities – What Does It Mean For Others? Yesterday, crypto enthusiasts closely followed the SEC’s “Investing in America” town hall in Atlanta with all five SEC Commissioners in attendance. While the event wasn’t digital currency specific, ICO’s came up in one of the first questions asked during the Q&A at end of the panel and there were no new major announcements. 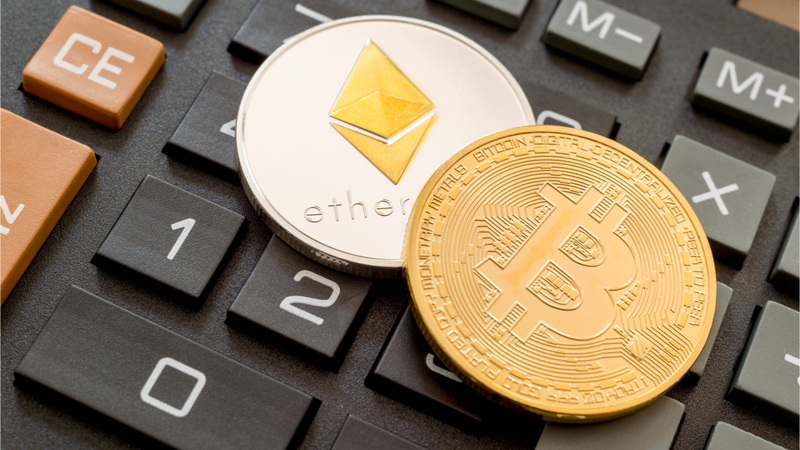 This ruling also means that forks of Bitcoin (including Bitcoin Cash and ZCash) and Ethereum (Ethereum Classic) are likely safe from securities regulation. So what do these statements mean for some of the other major blockchain projects at this time? The authors and editors are not legal, financial, or regulatory professionals. None of the following should be taken as legal or financial advice. The SEC may change their statement on this issue at any time. In what may have been a different story even yesterday, the EOSIO mainnet went live today, June 14th, with over 150 million votes cast by token holders. The company that orchestrated the EOS token sale, Block.one, released the software on June 1st and a group of decentralized teams (aka Block Producers) verified the release prior to launching the network themselves. With the 150 million votes cast, the network is now live and being managed by a group of 21 decentralized, elected Block Producers. Every two minutes (or 126 seconds to be exact) the votes are recounted and these elections are ongoing in perpetuity. This means in order for votes to count, the EOS tokens must stay staked in the system. Token holders can unstake at any time and receive their tokens back to their wallet within three days. With this launch and the management of the 21 Block Producers, there is not a “central actor whose efforts are a key to the success of the enterprise.” The SEC did note for Ethereum that they may still look at the “fundraising,” which could be concerning to Block.one, but it looks like EOS could fit the same classification as Ether on a go forward basis. Currently the digital currency with the 3rd largest market cap (if that matters), Ripple was not mentioned in the SEC’s statement. This is likely because Ripple is currently in the midst of a class action law suit, brought against them by someone who believes that they have been selling an unlicensed security. It’s important to remember that the SEC and other regulatory bodies are more interested in enforcing laws and case rulings than they are creating new regulations. The SEC will likely be happy to wait until the class action suit is complete and use that ruling to regulate Ripple and similar coins. Here is where things get a little tricky. Leaving any other legal trouble Tezos may have aside, one popular ways of setting up a Blockchain company has been to create a foundation that managed the sale of tokens, while a separate entity (with differing degrees of decentralization) would work on building the project. What if the foundation is centralized, but the work on the project is decentralized? Conversely, what if the foundation is decentralized, but the work on the project is centralized? These and similar questions were not answered by the Director Hinman’s statements. Blockchain Beach will work to speak with top legal minds in the space and see what they think in the weeks and months to come. While Binance has announced plans to eventually decentralize its operations, these exchanges currently have a centralized structure. However, exchange coins are an interesting test of whether tokens can be considered utility tokens and therefore not be classified as securities. The utility in this case is that trading fees on these platforms can be reduced by holding the exchange’s token. Instead of paying a 0.1% fee using the tokens you traded, Binance takes a .05% fee from your BNB holdings for your trades. Check back for future posts where we will update you on new announcements and rulings in this area.